BUMPER SEASON EXPECTED: The Riseborough family have been in the cherry business for more than 70 years, when George Riseborough planted the first Cherryhill Orchard seedling. Now, the family farm across seven properties, and are hoping 2018/2019 will be one of the best on record. Pictured (from left) are brothers Glenn and Stephen Riseborough with dad Cliff. CHERRY season has officially begun, with nets going out to cover what is expected to be a bumper season. From early pickings at Cobram all the way across the mountains to Tolmie, the North East looks set for a big 2018/2019 harvest. Koala Cherries, located in Yarck, began picking mid-November, on track to meet their annual 2000 tonne season target. “The weather during bloom was dry and warm, and has provided very good conditions for bees, pollination and fruit set,” Koala Cherries’ production manager, Simon Rouget, said. Koala Cherries sells fruit out of their packing-shed retail store and into supermarkets – managing approximately 150,000 trees across more than 200 hectares of orchard. Along with an expected bumper crop, this season will also be the first time Koala Cherries will open their farm to visitors. “We see u-pick as a great opportunity to bring families to our farm and show people where their food comes from,” Simon said. 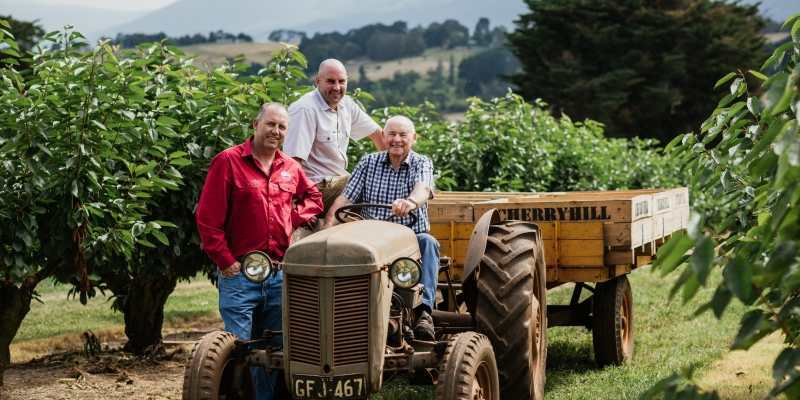 Cherryhill Orchards began in 1940, when George Riseborough planted his first trees in the Yarra Valley. Today, the orchard is run by George’s grandsons, Glenn and Stephen – who have expanded to seven sites, strategically positioning their farms to prolong picking. 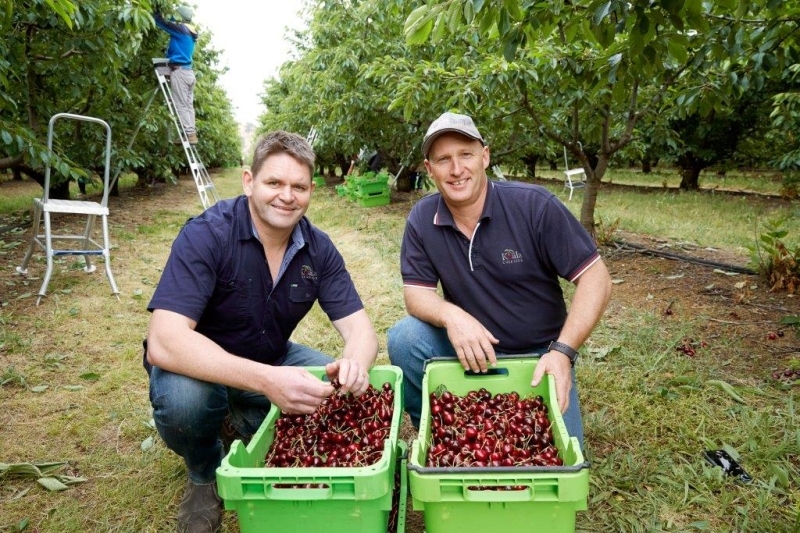 IN THE CHERRY BUSINESS: Cousins Michael (left) and Simon Rouget own and operate Koala Cherries, a third generation cherry growing, packing and marketing business in Yarck. Like Koala Cherries, Cherryhill start their season at Cobram – finishing at Tolmie, which, at 900 metres above sea level, extends the season to mid-February. “For every 100 metres you go up, you gain a few days extra,” Stephen Riseborough explained. This year will be the first time Cherryhill’s Strathbogie farm – purchased in 2014 – will be commercially picked; adding to what they hope will be a busy year. “We hope it will be mega,” Stephen said. Last year was not a good one for Tolmie, with New Year rain splitting a large portion of the fruit – but proved to the Riseborough family that second-life for spoiled product was a necessity. “Some of the pieces you see on the tree are perfectly good fruit – but the specifications are really tight,” Stephen said. 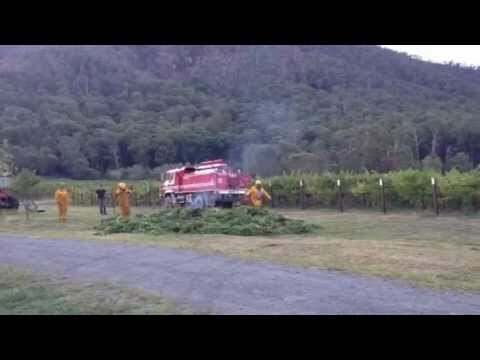 “Last year, the quality was nice but the rain made for a lot of wastage. Three years ago, Cherryhill Orchards created a beveridge line, and now sell spritzer, juice and cider. They also open their farm for the annual Blossom Festival, attracting 10,000 visitors in seven days; all keen to capture images of cherry trees in bloom. “Different sales channels help spread the financial income,” Rachel Caldwell, marketing manager for Cherryhill Orchards, said. “Tourism is really big in the Yarra Valley – we open on-farm for u-pick, and have over 40,000 visitors in 10 weeks. Compared to the big players like Koala and Cherryhill, Brendan Thompson is a small-time operator. With four hectares under production, cherries are a second income stream. With around 17 hectares of chestnut trees his primary crop, Brendan took over the cherry business from his father. “Having two crops that pick at different times of the year helps spread the financial risk,” Brendan said. “Cherries can be fickle; last year we lost $15-20,000 when the fruit split with heavy rain – but this year it’s looking really good. According to Cherry Growers Australia, $164 million was spent on cherries in 2016, across 485 orchards nationally. With the 2018/2019 season currently under way, North East producers are hoping to have the best year yet. 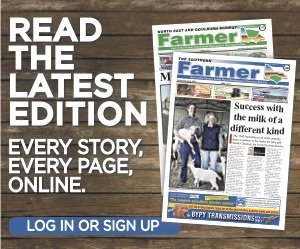 More farming news and stories can be read in the December, 2018 print edition of North East & Goulburn-Murray Farmer or click here to access digital editions.